Our most often-requested feature has finally arrived! 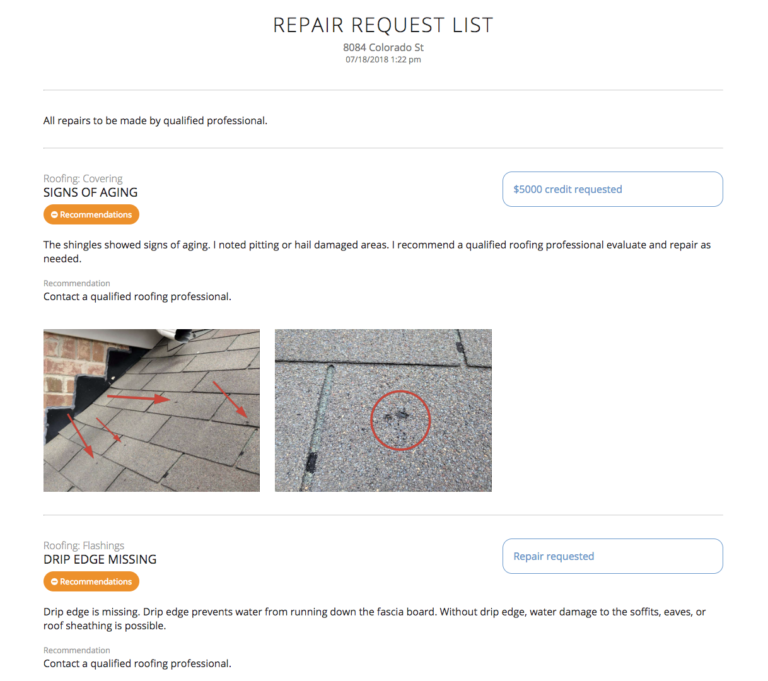 The Repair Request Builder allows agents to quickly and easily create repair request documents within Spectora reports. Agents can select specific defects, add dollar amount credit requests, requests for repair or replacement, or custom text. The generated document can be shared via email or text!